The other day I had this new idea for my passport size Traveler's Notebook. It's more of a wallet setup, and I'm looking forward to using it during upcoming travels. Have you seen it yet? If not, here's the video. 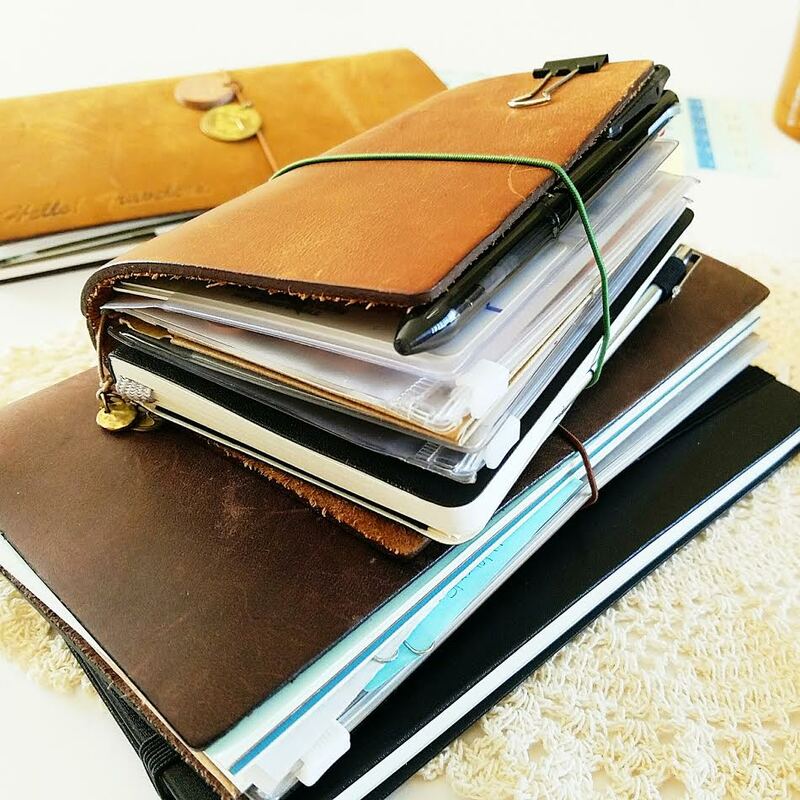 One thing I really enjoy about the passport size Traveler's Notebook is how light and compact it is. 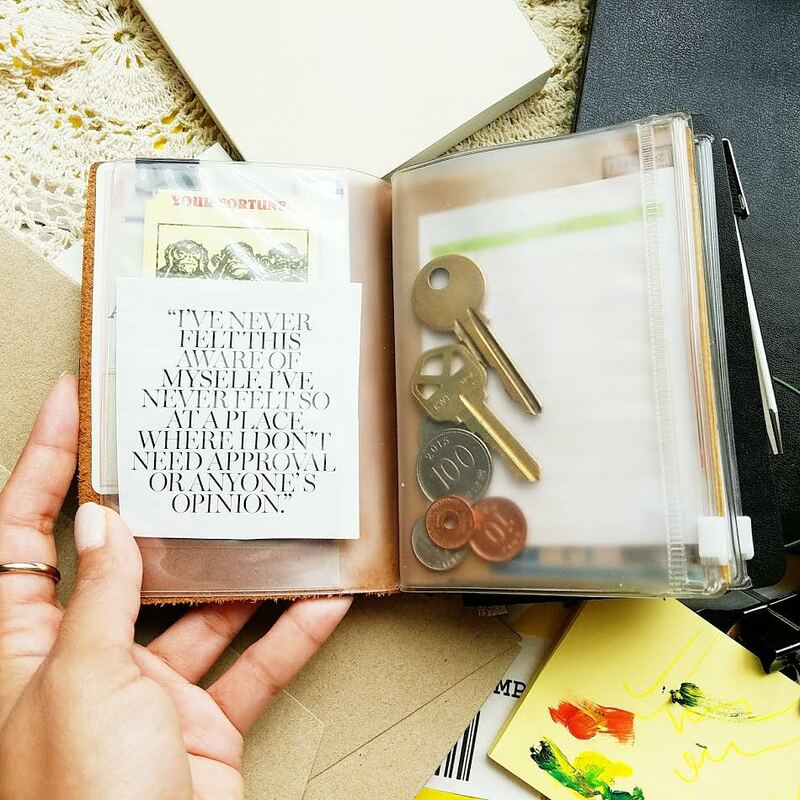 You can hide little treasures in here, fun ephemera, inspiring quotes, money..and so much more. 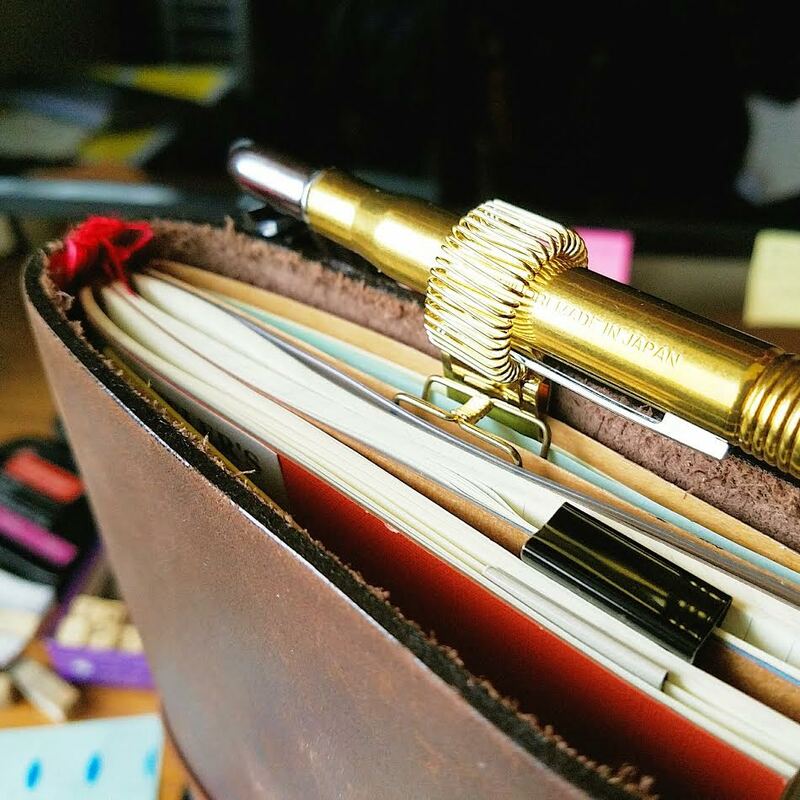 This Midori brass pen holder is one of my favorite accessories that I had picked up in Korea from The T.I.ME stationery store (owned by Seong Joon). If you're ever in Seoul, Korea, I highly recommend you stopping by the shop. 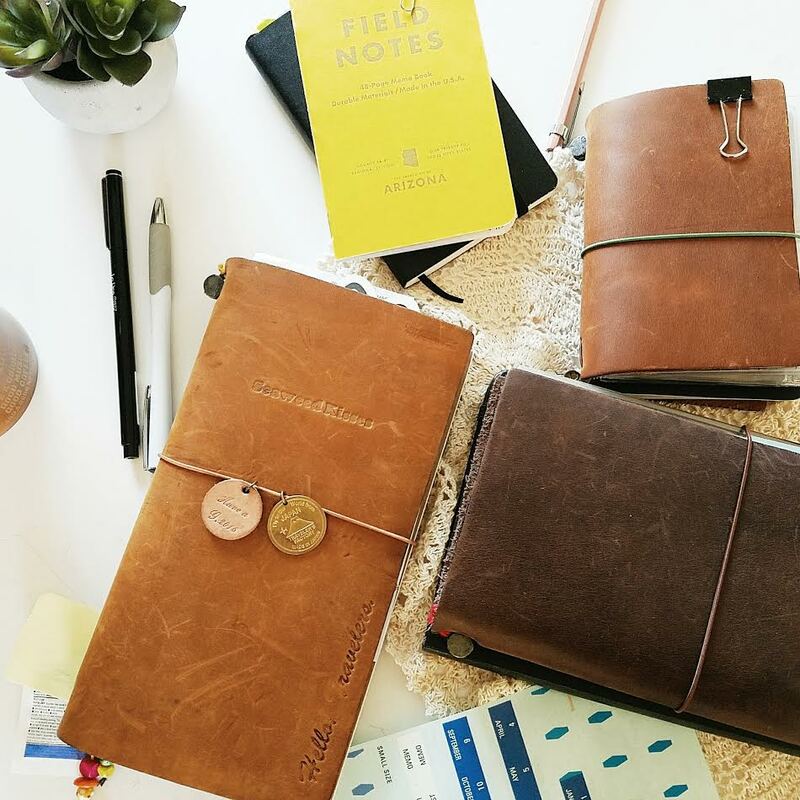 It's full of wonderful Midori products, along with Traveler's Notebooks, stickers, and many other paper goods. You can catch a glimpse of the store in this video I recorded during my travels last year. People have been curious to know where I got the embossing done for my Camel Traveler's Notebook. It was done at Seong Joon's store. He was so nice to take the time and offer to customize mine. It's a moment I'll treasure forever. Moments like those that make me appreciate the power of social media and how like-minded people can connect and meetup from all parts of the world. It's amazing. 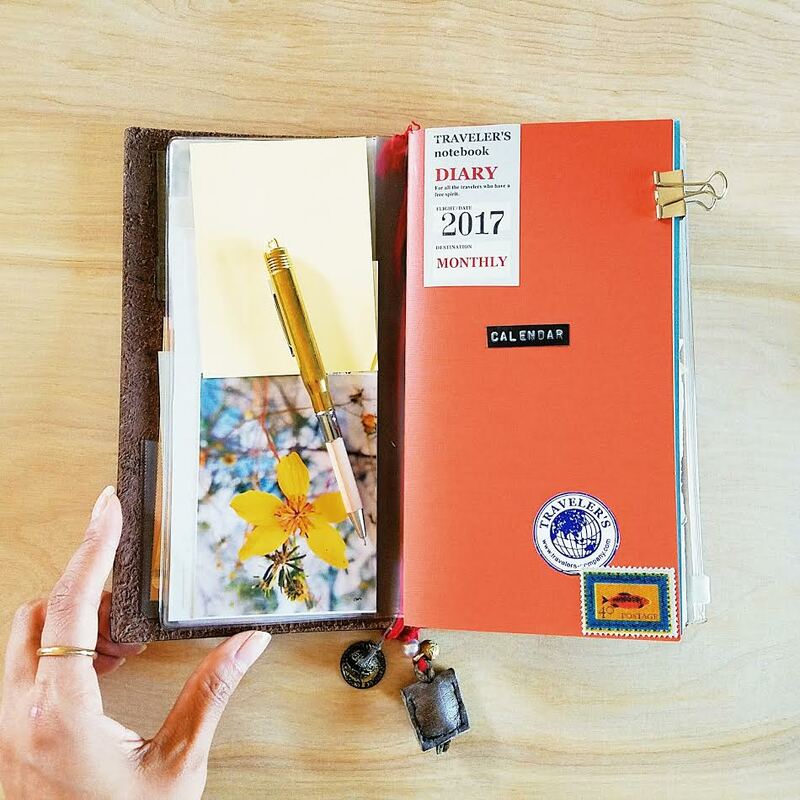 Speaking of amazing and travels, every time I come across a new Instagram post from Amandine (she was one of my honored guests on The Journal Diaries sharing her Traveler's Notebook stuffed with travel memories), I get that itch to travel the world bringing along a good notebook by my side. I'm so ready for a vacation...but then again, when are we not?